Physiotherapist, Ann Sezier graduated in 1989 as an Occupational Therapist and in 1991 as a Physiotherapist and started her career in Switzerland, where she specialised in neurology, after completing the Adult Bobath Therapy course. Ann joined the faculty of the Swiss School for Physiotherapy, teaching hydrotherapy to third-year students. 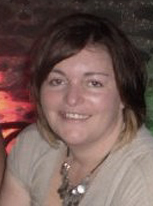 She gained experience as a senior physiotherapist specialising in a range of neurological conditions including traumatic brain injury, stroke, multiple sclerosis, and Parkinson’s disease; working at major hospitals and rehabilitation centres, including the Royal Hospital for Neuro-disability in London and the Scottish Brain Injury Rehabilitation Unit, where she joined the Edinburgh Brain Injury Rehabilitation Training (EBIRT) programme, teaching spasticity management to disciplines working with traumatic brain injury. Ann’s passion for travel brought her to New Zealand in 2008, working at Auckland University of Technology as a lecturer and research officer at the Person Centred research centre. Ann has continued her learning in New Zealand completing a Post Graduate Diploma in Health Science and a Masters in Philosophy. Ann’s special interests are in vestibular rehabilitation, balance and gait retraining, spasticity management, and functional-electrical stimulation.